Update: Just a few days remaining! Click here to submit. 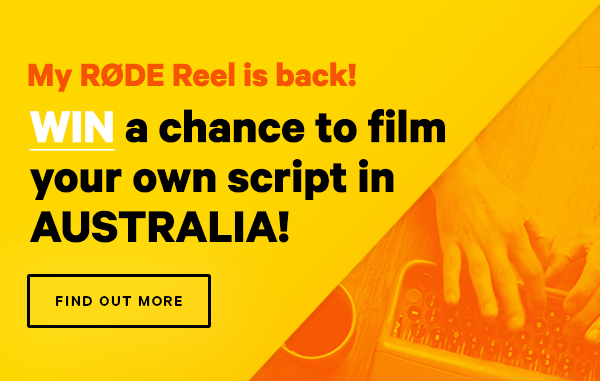 We’re still a couple of months from the 2018 My RØDE Reel competition getting started, but RØDE is looking to bring a clever new filmmaker to Australia to create their annual short film to highlight the event. 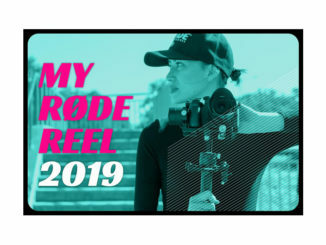 What RØDE is looking for you to do is simply submit a script, treatment, or storyboard for a three minute introductory film, which will highlight the annual film competition. Although RØDE is searching for a fresh look for their hallmark short film, they are asking those creating their ideas to be very practical when it comes to budget. “We’re good, but don’t have Hollywood budgets. So be creative,” the rules state. All entries must no longer than 4 pages in length, submitted in English, and in PDF or .DOC format. If English isn’t your strong suit, fear not, just do the best you can (Google Translate is a good start). 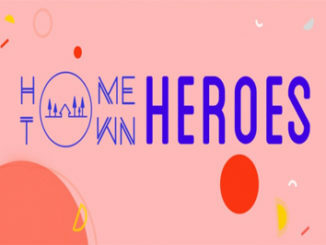 “We encourage entries from those for whom English is not a first language – note that imperfect English language will not be a part of the judging criteria.” Your entry will not be rejected or penalized, it will just need to be “polished” into English by RØDE’s scriptwriters and editors. In the end, the idea is king, and RØDE will evaluate all entries. The company will also have the final say over changes and revisions. There are a few caviats however… In addition to all entries being in some form of English, entrants must be over the age of 18 due to “legal reasons,” and I’m assuming that pertains to Australian law. In addition, all entrants must be available to travel to Sydney (all expenses paid, by the way) for the duration of the filming process. If you are unavailable, or you cannot receive a travel visa in time, then unfortunately, your entry will not be considered. There’s no word on whether the winner will be able to participate in the next My RØDE Reel competition, but I’m guessing maybe not (and don’t quote me on that). So if you have your heart on being involved in the next round, you may want to consider that before you submit your pre-competition short idea. Judges will select the winning entry based on the most interesting and original concept. Then, the winning entrant will be flown to Sydney, Australia to direct the filming of the winning script with RØDE’s professional production crew. Filming is scheduled to take place over three days in February 2018. To enter, head over to RØDE’s contest website here to learn all the rules and guidelines. Entries will be open from December 1st to January 15th, 2017 (midday, Australian Standard Time), with the winner announced on January 31st, 2018 (though as of this writing, the submission site wasn’t active yet).